Matthew bowing the Aluphone with a cello bow. In the foreground the vibraphone. A very unique instrument with many sounds from the session added to our library. Throwing and exciting vibrating strong buzzing magnets. We also used gaffer tape, different mallets and hammers, chains, bows and nails. Recorded with 2 x DPA 4015As with Neve preamps. Matt bowing the vibraphone with baby Yamaha grand in the foreground. Recorded with 2 x DPA 4015As with Neve preamps. Recorded with 2 x DPA 4015As with Neve preamps. We also used gaffer tape, different mallets and hammers, chains, bows and nails. Recorded with 2 x DPA 4015As with Neve preamps. A unique tuned percussion instrument made from pitch and cut lengths of scaffolding tubes, played with hammers / mallets. We also used gaffer tape, different mallets and hammers, chains, bows and nails. Recorded with 2 x DPA 4015As with Neve preamps. Mallets. Recorded with 2 x DPA 4015As with Neve preamps. Hitting. Recorded with 2 x DPA 4015As with Neve preamps. Brushing the thunder sheet for a unique sound for our library and sound design source. Recorded with 2 x DPA 4015As with Neve preamps. 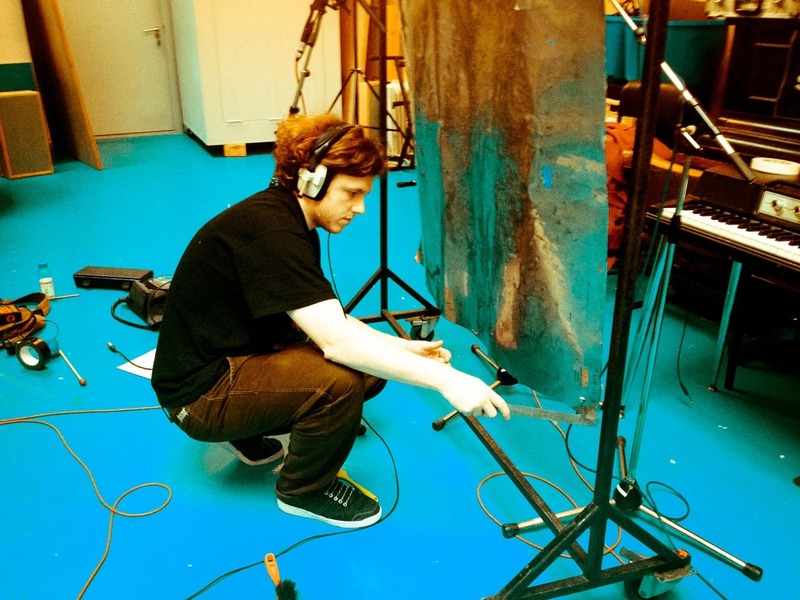 Bowing a thunder sheet with a metal ruler, a beautiful and haunting sound. Recorded with 2 x DPA 4015As with Neve preamps. Thunder sheet. An orchestra effect (FX) instrument. It does sound a lot like thunder when struck strongly and played like a snare drum roll. Awesome. 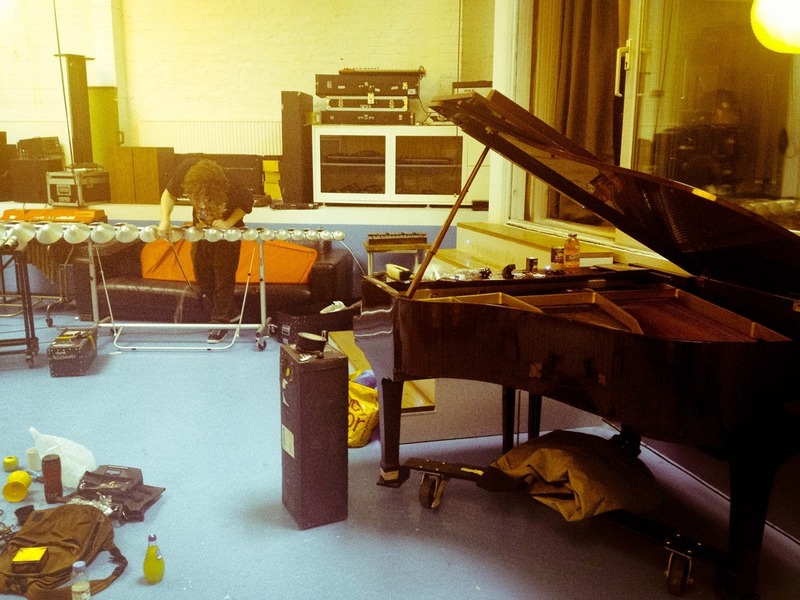 Matt dropping things on the piano strings for interesting sounds and bouncing string sounds.